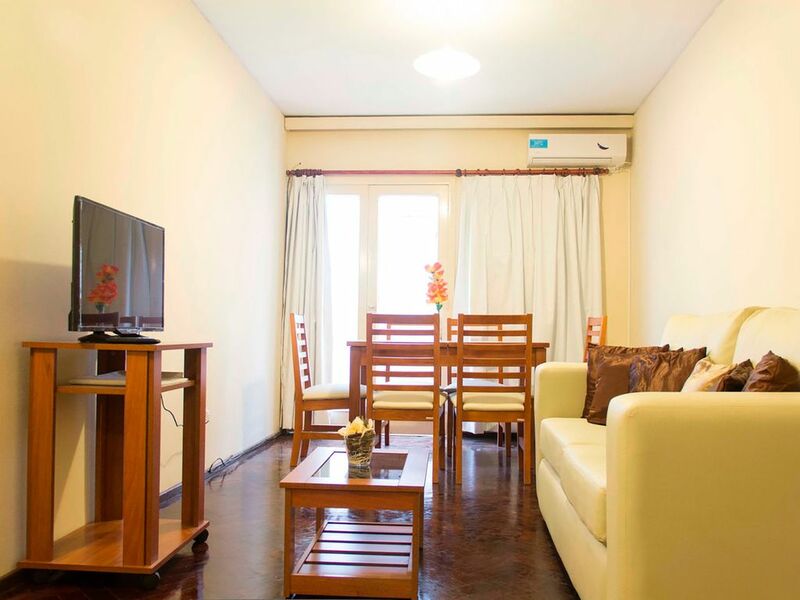 Located in the heart of the city in front of the main square (Plaza Independencia) just 100 mts from Hyatt Hotel and the touristic bus top, Independence theater, surrounded by shops, restaurants, cafes, banks and markets. The apartment is composed of a living room a full equipped kitchen with oven microwave oven toaster, electric jugar, and cooking utensils. It has two bedrooms: one with a double full bed and another room with three twin beds. A perfect place to enjoy your stay.